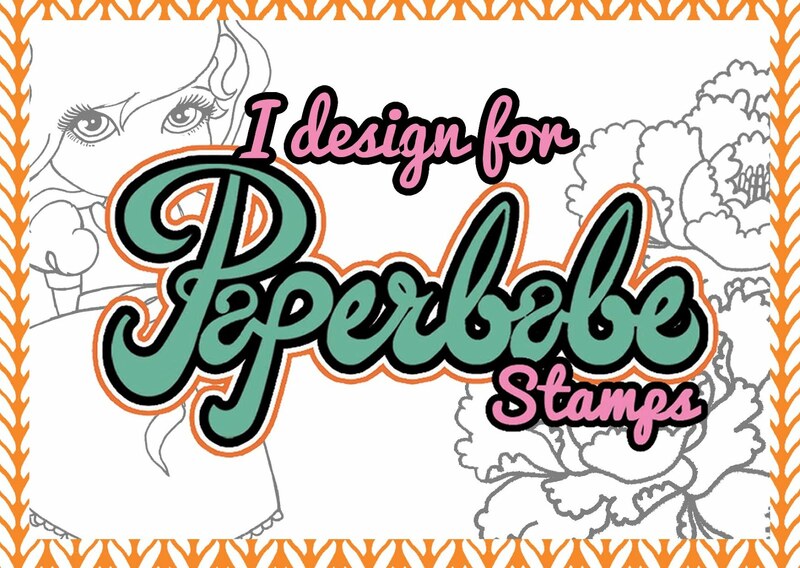 Hey there Paperbabe stamp fans, it's time for a new challenge, this time we have a picture theme to work with. You can use the colours, patterns or any element you wish, just have fun and let your creativity run wild. To create my clean and simple card I used shapes from both the Doll face stamp set and Folk Fabrique stamp set and then added a sentiment from the Birthday Wishes stamp set. I chose to create a retro pattern in colours from the inspiration picture, I placed my design diagonally over the lower part of my card to create a modern look with movement. 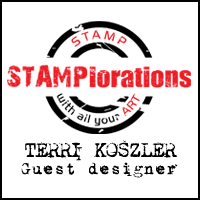 I hope you'll be joining us in this challenge, if you do you could be in with a chance of winning a prize from Paperbabe herself Kim Costello. http://paperbabestamps.blogspot.co.uk/ is where you need to go to link your project. Good luck and I can't wait to see what you create. Great use of colour taken from the picture inspiration, that yellow is vibrant and so on trend!! 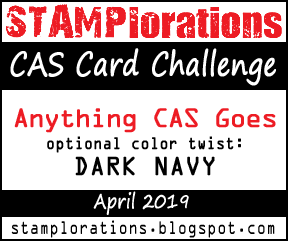 Your so clever creating these CAS cards Terri.